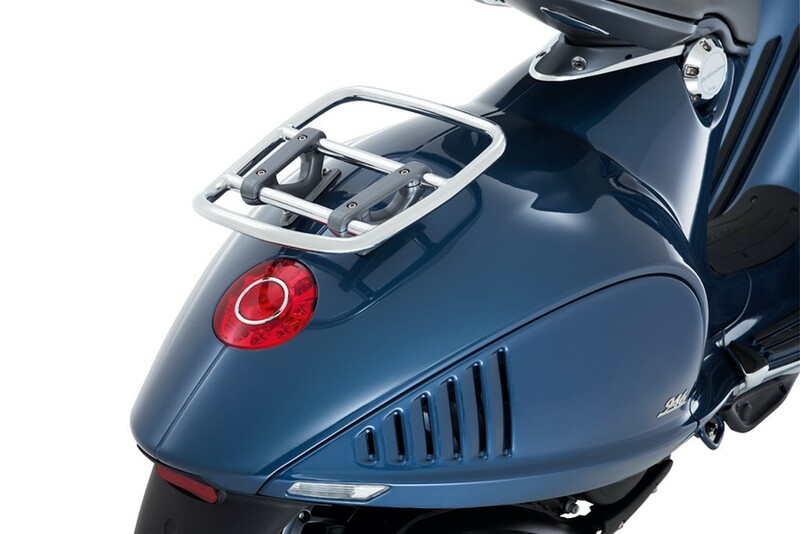 Capturing the global and Indian scooter market with style, elegance and an array of flamboyant colors, Vespa once again rolls-out the 2014 Vespa 946 Bellissima. 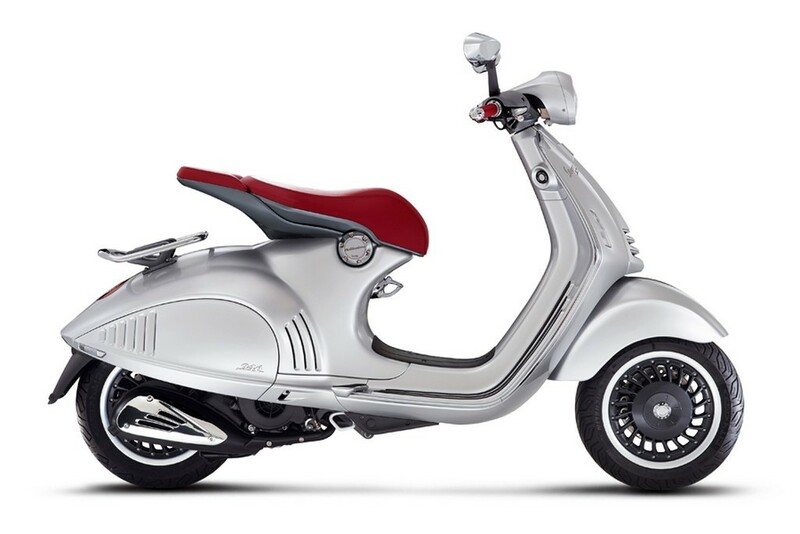 Its sibling, the Vespa 946 is designed as the most stylish scooter to be seen on road and the Vespa 946 Bellissima of course followed suit. 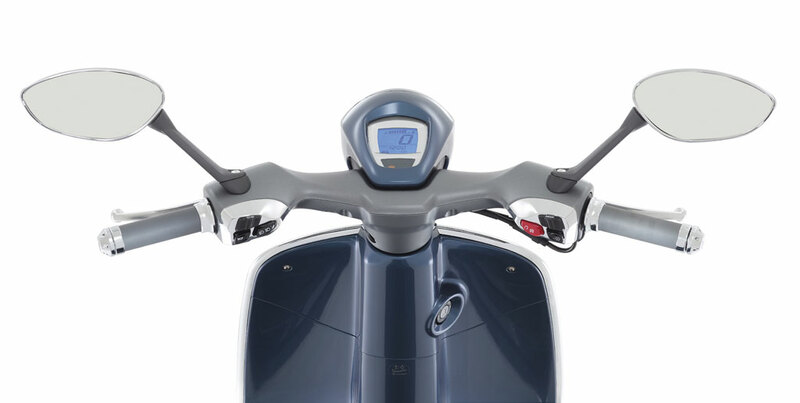 The Vespa 946 Bellissima is much more than you traditional 125cc or 150cc scooter, with its exorbitantly high price tag of $ 13,420 approximately(Rs 8 lakhs-9 lakhs), which boasts to create a fashion and social status quotient rather than to be a commuter scooter. The 946 Bellissima comes with the same, Piaggio engineered 125cc, four-stroke, single-cylinder and air-cooled three valve engine, which produces 11 BHP of power and is also available in a 150cc engine, which churns out 13 BHP of power, (only a crazy head will pay 9 lakhs for 11BHP). The Vespa 946 Bellissima retains the 12″ inch caste wheels, front and rear disc breaks fitted with ABS(Anti-lock breaking system) and the newly developed ASR( Anti-slip regulator) Traction control, which helps to prevent the back tyre from skidding.Where technology is concerned, the Vespa 946 Bellissima sports the same blue-backlit LCD, digital display console, LED headlights and round LED tail lamps, which are flush fitted into the scooter’s body. 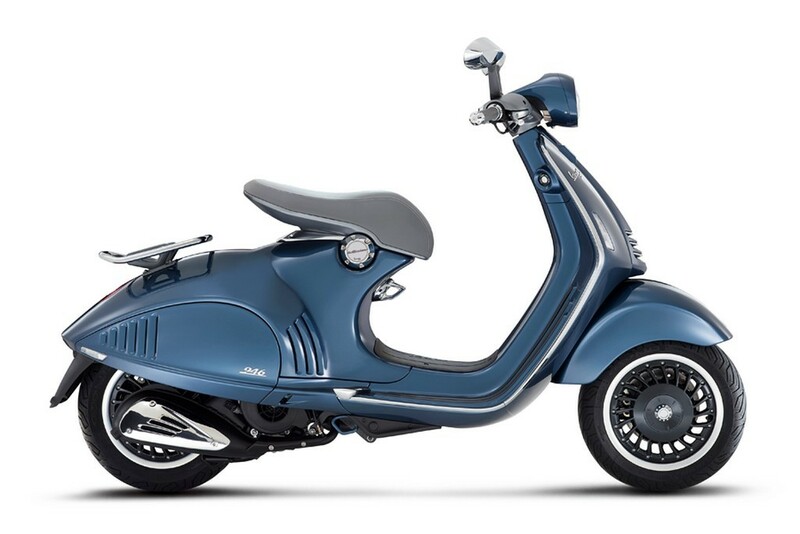 The Vespa 946 Bellissima gives a class retro-futuristic look to the scooter. 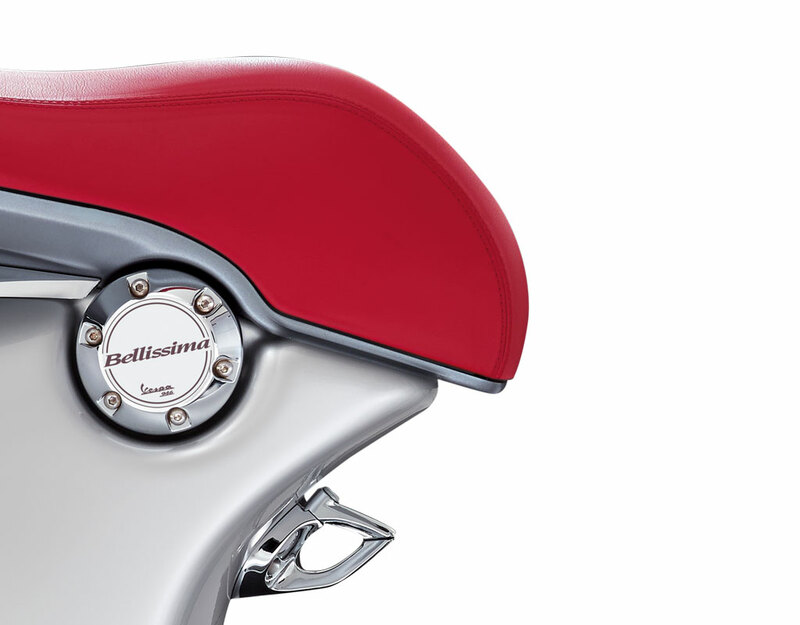 The added accessories that are available with the 946 Bellissima, is a front windscreen, similarly- themed and colored jet helmets, a smart phone holder and color coded hand-stitched hand grips, just like the floating seat. 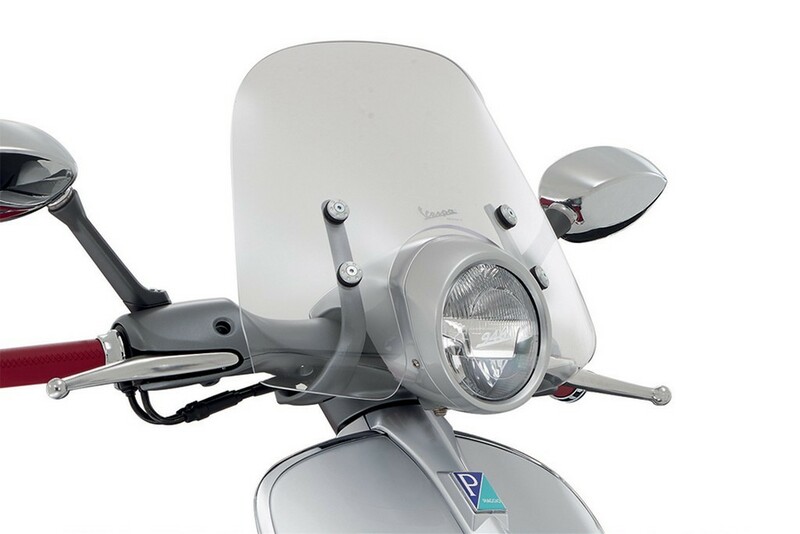 The Vespa 946 Bellissima is sure a class apart in the scooter segment and it is bound to turn your head when you spot one.